People often email us with queries about Hearing Aid Terminology, so we have put this page together to cover the most frequently asked questions- it's not exhaustive, so if you want clarification about something not on the list, just get in touch. Algorithm – the procedure or formula a digital processor uses to calculate what needs to be done with sound as it goes through your Hearing Aid. Artificial Intelligence – term used by Oticon to describe their hearing aids ability to make changes without the wearer doing anything. 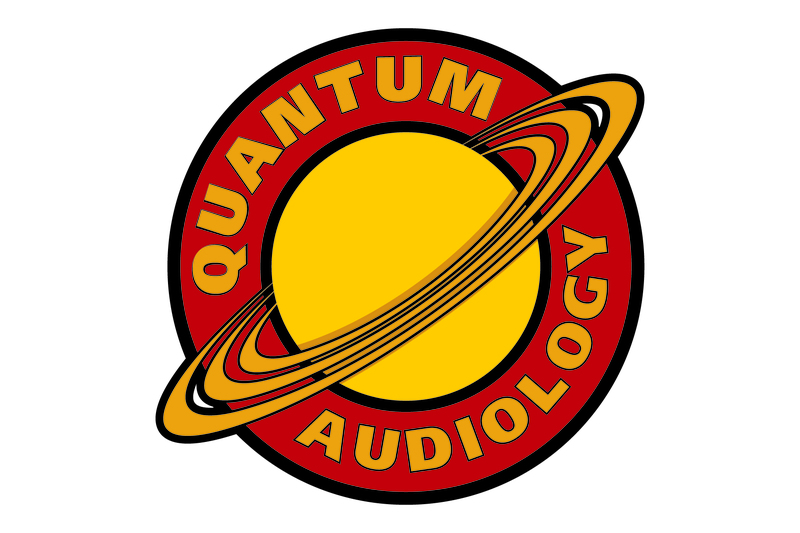 Audibility – the level at which a sound can be heard. Audiogram – a chart used to plot an individual’s scores from a hearing test. Audiometer – Electronic equipment used to perform a hearing test. Automatic Telecoil – a programmable telecoil that activates automatically when a telephone is placed near. Automatic Volume Control – the hearing aid automatically adjusts the volume for the wearer. Channel – a section of frequencies controlled by the hearing aids compression circuitry. Hearing aids can have as few as 1 channel or up to 20, typically, the more channels the aid has the more sophisticated it is. Cochlea – small snail shaped organ in which sound is processed and then sent to the brain. Cochlear Implant – type of hearing devise which part of is surgically connected to the cochlea and embedded in the skull. The other part is plugged into the port in the skull and contains the hearing aid portion. Compression – a type of circuitry that is used to keep soft sounds audible and loud sounds comfortable. Data Logging – feature in some digital products that keeps a record of what kind of environments the user has been exposed to, battery life, hours of usage, etc., and may even make recommendations for adjustments. Digital – a type of amplifier system that changes analogue sound into a series of numbers for processing. Digital Speech Enhancement – the enhancement of speech signals by a digital processor to make speech more readily distinguished from noise. Digital Surround Zoom – Phonak name for an adaptive directional microphone system. Directional Microphone – multiple microphone system that amplifies sound from the front more than sound from the rear for better hearing in noise. Dynamic Range – the range between wear a person begins to hear sound and sound becomes uncomfortable. Ear Drum – the tympanic membrane – thin membrane that separates the outer ear from the middle ear; sound vibrates the membrane which transfers the energy to the bones of the middle ear. Feedback – the whistling sound that occurs when sound from a speaker loops back to the microphone. Feedback Suppression – control of feedback by reducing the frequency where the feedback has occurred. Frequency Band – in hearing aids refers to the divisions of frequencies that can be adjusted for volume independently from other frequency bands. Full Shell Hearing Aid (FS) – style of hearing aid that fills the bowl of the ear. Half Shell Hearing Aid (HS) – style of hearing aid that fills approximately half of the bowl of the ear. Digital Hearing Aid – a hearing aid with a digital processor that converts analogue sound to digital, and then back to analogue. Hearing test – series of tests performed with an audiometer that measures a person’s hearing loss based on subjective response. Asymmetrical Hearing Loss– the degree of hearing loss in one ear is greater than the other. Bilateral Hearing Loss – hearing loss in both ears. Conductive Hearing Loss – hearing loss due to damage to the conductive portion of the auditory system such as the eardrum or the bones in the middle ear. Fluctuating Hearing Loss – hearing loss that does not stay constant but is improved on some days and worse on others. Mixed Hearing Loss - a combination of sensorineural and conductive hearing loss. Mild Hearing Loss (20 -40 decibels) where the softest sound perceptible at any frequency tested falls between 20 – 40 decibels. Moderate Hearing Loss (40-60 decibels) where the softest sound perceptible at any frequency tested falls between 40 – 60 decibels. Progressive Hearing Loss – a hearing loss that becomes progressively worse over time. Sensorineural Hearing Loss – hearing loss due to damage to the inner ear (cochlea) or the nerve pathway from the cochlea to the brain. Severe Hearing Loss (60-80 decibels) where the softest sound perceptible at any frequency tested falls between 60 – 80 decibels. Stable Hearing Loss – a hearing loss that has not changed for several years. Sudden Hearing Loss – a hearing loss that occurs with a rapid onset requiring immediate medical treatment. Symmetrical Hearing Loss – hearing loss that is the same or very similar in both ears. Unilateral Hearing Loss – hearing loss in only one ear. Impression – Silicon cast of the shape of the ear and canal used to make custom hearing aids and ear moulds. In The Canal Hearing Aid (ITC) – style of hearing aid that resides primarily in the ear canal, but also extends into the bowl of the ear. Listening Program – an individual memory program in a digital hearing aid with multiple memories accessed through a push button or remote control. Memory (Memories) – the area within the digital circuit that stores the information programmed for your hearing loss. Some hearing aids have more than one memory. The additional memories are programmed for specific situations such as noise or telephone use. Meniere’s disease - affects the membranous inner ear and is characterized by deafness, dizziness (vertigo), and ringing in the ear (tinnitus). Multi-band Adaptive Directional Microphones – directional microphone systems that are capable of suppressing more than one sound source at a time in different frequencies. Open Ear Acoustics – method of fitting hearing aids so that the ear canal is left as open as possible. Programming- creating and sending the program to the processor. Shell – The outer portion of the hearing aid that is custom formed to fit the ear. Sound Waves - Sound is made up of molecules of air that move and when they push together the form waves. Speech Understanding – also called discrimination, refers to the ability to understand speech when amplified to a comfortable level. Telecoil – devise in a hearing aid that can connect with the magnetic coils of a telephone and transfer the sound through the hearing aid without feedback. Vent – an air channel in the hearing aid or earmold to alleviate pressure and reduce low frequency amplification. Wide Dynamic Range Compression (WDRC) – hearing aid processing type that works to keep soft sounds audible and loud sounds comfortable. Wind Noise Manager – device within a digital processor that reduces the sound of wind noise on the microphone.